It’s been a crappy week. I don’t’ know why. Hormones? The never-ending cold and gray weather? The news report about the treatment of women in Egypt? I’m feeling better today. In part because I do keep this list during the week. My dear old friend Paul once said to me decades? ago, “Anyone can find some reason to be unhappy. Sometimes you have to work to be happy.” He wasn’t talking about people who live in poverty, or have diseases. He was talking about those privileged people in the world, like us, who really do have the power to change their perspective. 1. My friend Paul and his positive perspective. 2. The film, The Sapphires. You MUST see this film. You will love, love, love it. Chris O’Dowd from Bridesmaides is it and is wonderful, the music is great, the story is great, the 4 female leads are all just awesome. I just saw it last night and I want to see it again today! I WILL end up owning this DVD. Please see it. 3. 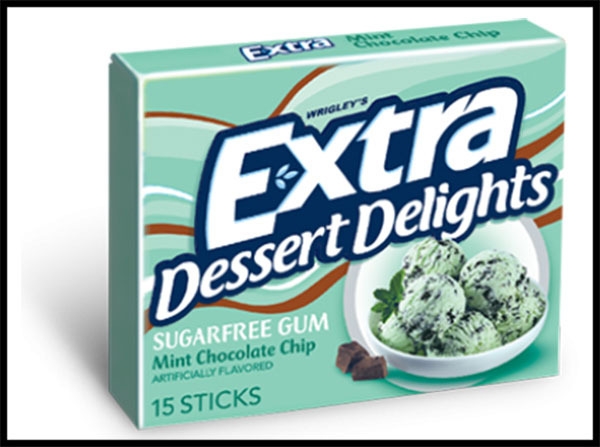 Extra, Desert Delights, Mint Chocolate chip gum. I don’t chew gum in public, because I know I get obnoxious about it. Most people do. But I chew it in my car to freshen my breath, or I chew it to keep myself from snacking at home The checkout guy at Bush’s saw I was buying Extra peppermint gum one day and said I HAD to try the Extra Mint chocolate chip flavor. Man I am hooked, as is my family! 4. 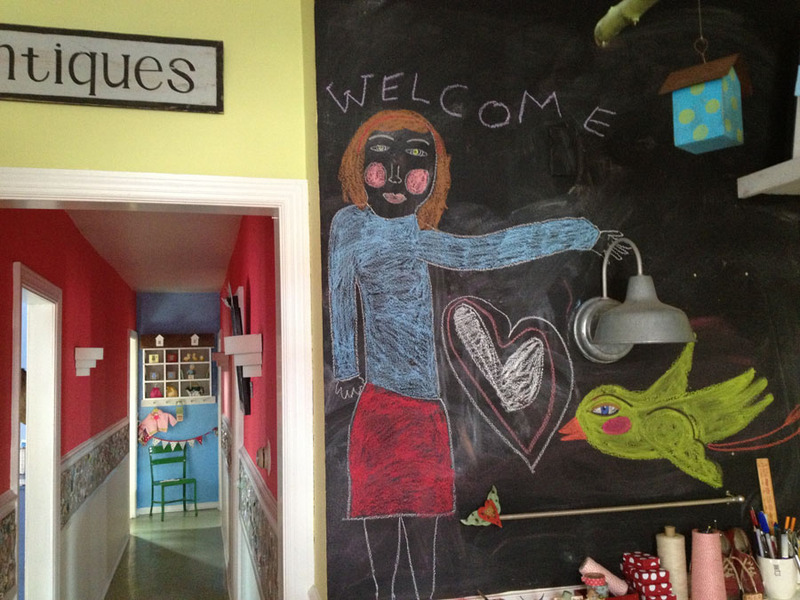 The Red Shoes blog makes me happy, as does the web site and the store here in Ann Arbor. I want to live there. Catherine is real. And an amazing artist. 6. I finally saw the musical Spring Awakening last weekend when I was visiting my daughter. It was much heavier than I thought it would be, but I really liked it. 7. Listening to the Detroit Tigers home opener on the radio while driving to visit my daughter. Tiger’s baseball on radio was the soundtrack to my childhood summers. Listening to it gives me a warm feeling inside. 8. f***yournoguchicoffeetable blog makes me laugh. As my sister who sent it to me said, it’s a great reminder, “Not to take ourselves too seriously.” Oh so many antlers, ladders, stacked old suitcases with globes on top. As I read it, this blog is both saying, “I’m so jealous of your cool home design, f*** you!” and partly snickering at people who have tried so hard to be “cool” it’s just a fail. I guess It’s up to you to decide which is which! 9. Invisible bike helmets. So much to love about this video. The design throughout, the shoes and then finally they reveal the helmet design, by women. It’s genius. 10. I love new words. I misunderstood my son today. He said something about hanging out with his hooligans, but I heard it as “cooligans”—which I kind of liked. And even though this word is like finger nails on a chalkboard to me for it’s hipster speak-ishness, I like that it’s new to me– “daylighting”, as in, “thanks for daylighting that issue for us. We didn’t realize it was happening.” Thanks to my sis for that one that she learned when having a conference with her son’s teachers. I would likely want to choke anyone who used that word with me. Still, like that I know that usage. Go see The Sapphires, it will make you happy! I sure would like to know what’s making you happy this week! 1. 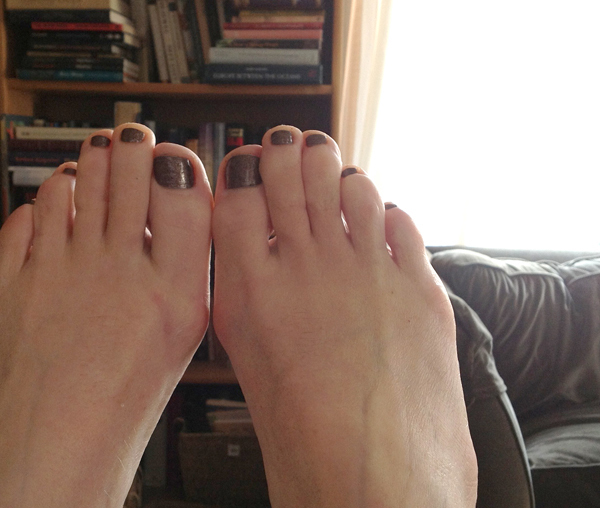 Mani/pedi AND I used a LivingSocial coupon. Happy! 2. NPRs Story Corps podcast. If you ever need your faith in humanity restored, listen. They are short, too short, but I am so moved by these I cry at…every…single…story. Does that make me happy? Yes, it does. 3. Body by Gap boy short undies that came in the mail this week. Yes indeed, new pretty underwear makes me happy! TMI? I know it makes other women happy. Does new underwear ever make men happy? 4. 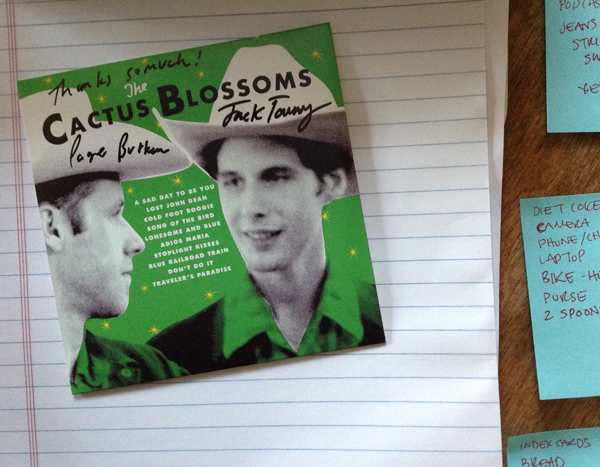 Cowboy songs by the Cactus Blossoms. I volunteered at the Ark this week and had no idea who the performers were. These fresh-faced brothers were the warm-up band. They had me at the first few notes of their sweet cowboy harmonies. 5. Not sure if Tom Hussey’s “Mirror” series makes me happy, but they make me something…introspective? This is how I see myself when I look in the mirror, so much younger than what the world sees. In my mirror, I’m still wearing braces. 6. My son reminded me of the Dad guitar scene from Flight of the Conchords. If you haven’t seen Flight of the Conchords, you will likely not find this funny…But you should get the FotC DVDs…really. 7. I’m finally reading George Saunders. Not “Tenth of December,” according to the New York Times, “the best book you’ll read this year” -which I think was last year. Instead I’m reading “Civilwarland in Bad Decline,” as recommended by Glen Weldon from Pop Culture Happy Hour. I’m happy that I am finally reading the celebrated Saunders. My name finally came up on the library wait list. Is the book making me happy? No. I do get why Saunders is so fêted, but his satire is so close to the edge in my mind, that to me, the stories are equal parts funny, smart and terrifying. 8. I watched Skyfall and Casino Royale with my boy (and wrote about it). 9. My boy and spouse are spending the week in DC and are having a great time! I’m smiling right now just thinking about it. And very soon I will be hitting the road to visit my dear daughter for the weekend, also making happy! 10. The Humans of New York FB feed always makes me happy, but it’s this poem by a student, Fluorescent Adolescence, I found on HONY this week that I thought was pretty fantastic. I wish I had the author’s name. Sometimes youth is not wasted on the young.